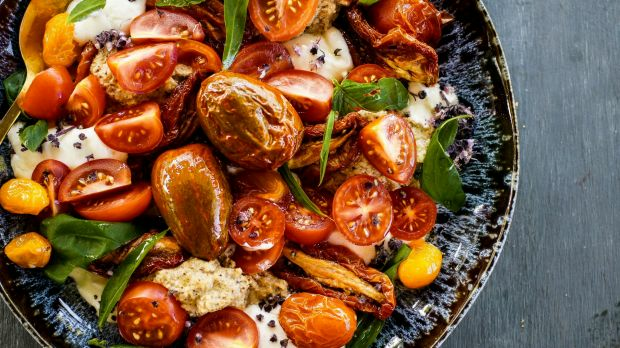 In the heat of an Aussie Christmas, salads are the dishes that make the meal. They provide relief, texture, colour and flavour, helping to make the big guys (the proteins more often than not) shine. When it comes to salad, it is all about the timing and the quality of your produce. 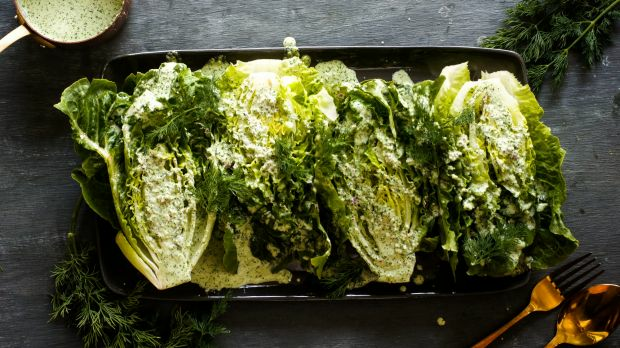 Use the freshest leaves and herbs you can find. Don't dress it too soon, and when you do, be sure to season and toss thoroughly to ensure an even distribution of all the glorious bits and bobs. All salads serve 6-8 as part of a festive spread. This festive salad is equal parts beautiful to look at and hardworking; partnering well with a range of proteins from lamb to prawns. I like to roast beetroot with its skin on, once cooked it is quick and easy to peel and it adds to the veg's earthy flavour. 2. 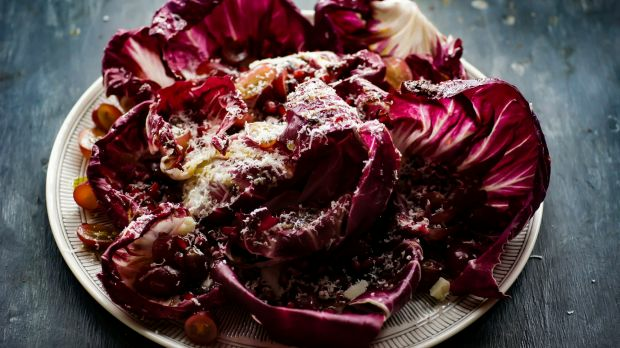 Place the beetroot on a large sheet of foil and give them a good splash of olive oil. Cover tightly and enclose the foil to create a parcel and roast for 90 minutes or until the beetroot is tender when pierced with a skewer. 3. Add the burghul to a bowl and cover with boiling water (or stock of your preference). Set aside for approximately 50 minutes or until the grains have softened. Strain off any residual liquid. 4. Place two of the beetroots, the 2 teaspoons of cumin, olive oil and garlic in a blender and blitz to a thick puree that resembles hummus consistency. Add the puree to a large bowl with the burghul and red onion and toss to coat – it will seem quite wet. 5. Chop the remaining two beetroots into bite-sized cubes – keep these relatively large to add texture to the salad. 6. Place a frypan over medium heat add the butter, remaining one teaspoon of cumin and salt. Once foaming, add the flaked almonds and cook for about 45 seconds or until the nuts are just golden. 7. 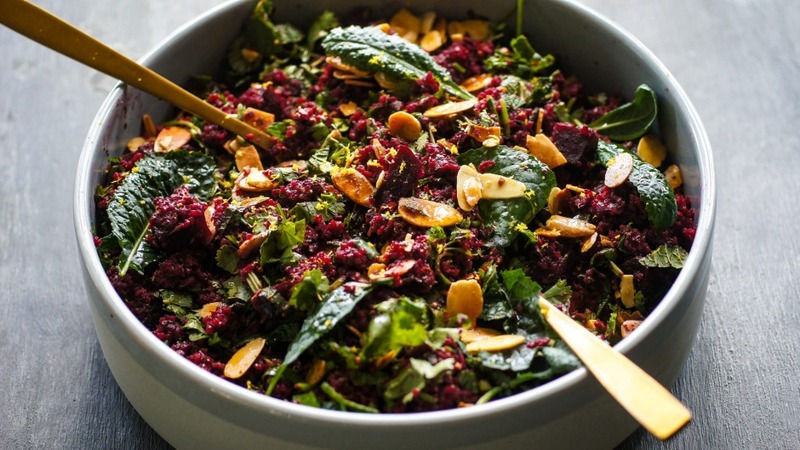 Add the toasted nuts, beetroot chunks, mint, coriander and kale to the beetroot-burghul mixture. Season generously with salt and pepper, toss together then serve warm or cold.